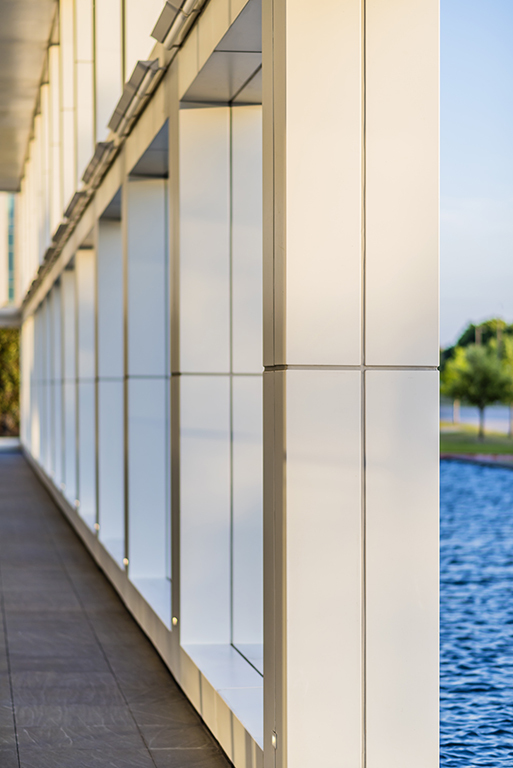 The beauty of One Legacy West lies in its simplicity. 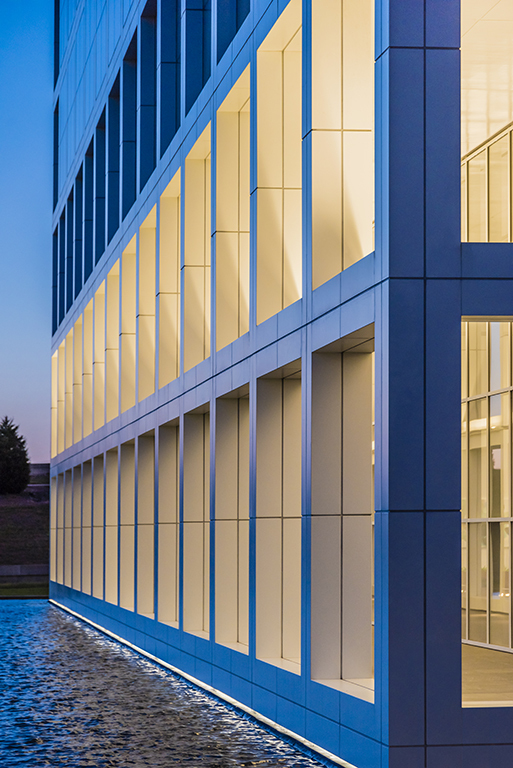 Its 15-by-15-foot structural grid is elegantly expressed in white aluminum and different shades of reflective glass. The result is a refined juxtaposition of squares and rectangles of various scales in both plan and section. 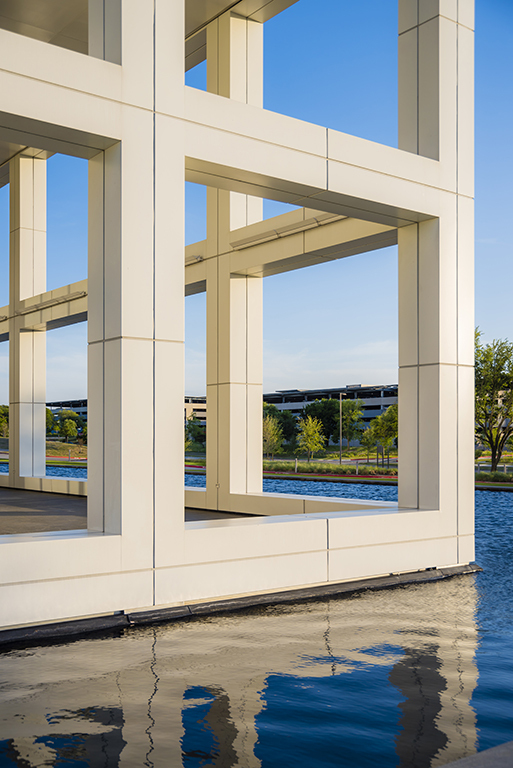 The front edge of the tower is shielded by a rectangular reflecting pool, providing a crisp, clean street facade. A 60-foot-wide bridge connects to the parking garage and marks the entry. The bridge also doubles as an open-air tenant deck. 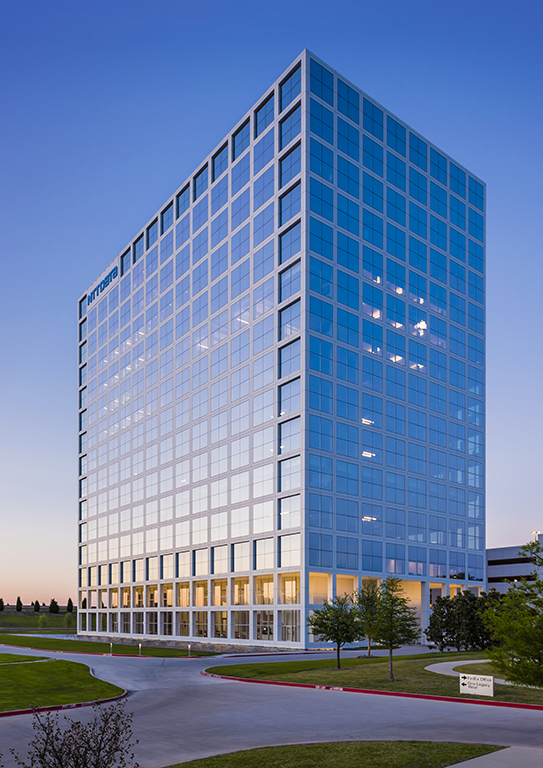 The tower, which won a 2018 Design Award from the Texas Society of Architects, opened in December 2016 and is certified LEED Gold. 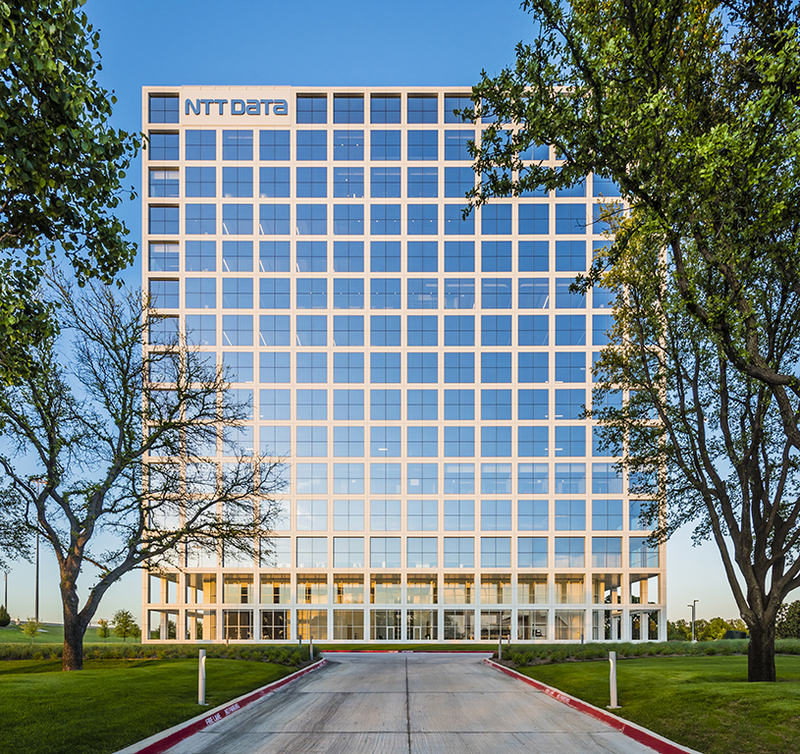 It sits between the new Toyota and FedEx campuses on the northern edge of the $3.2 billion Legacy West development. Structural Engineer: L.A. Fuess Partners Inc.
Civil Engineer: Kimley-Horn Associates Inc. Contributed by Cindy Smith, AIA, a project manager at Harwood International.